When students can name the lowercase consonants on Chart 1b, out of order fluently, they are ready to begin learning Chart 2. Learning the Consonant Sounds quickly is important, so when the vowels are introduced, the child does not have to keep so many sounds in their head as they decode the word. 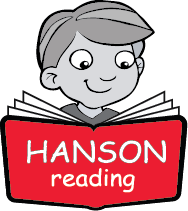 Use the TEACHING IMAGINARY PICTURES to teach the lowercase consonant sounds in order to help children see the shape of the letter and associate it with the Hanson Reading Imaginary Picture story. Refer to the imaginary picture when a child is having a hard time remembering what sound to say. 2. Learning to imagine each consonant as an Imaginary Picture. Pictures are easier to remember than letters. 3. Learning a spatial relations perception to help recognize the Imaginary Picture (later very important for writing. The 1st part “bumped into” is the 1st part written) tall or short part “naughty-cave” letters. Teach these Imaginary Pictures when the child has learned the NAMES of the letters on Chart 1. Learning the NAMES of the letters happens before focusing on the sounds. 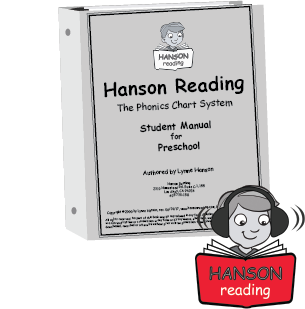 NOTE about reading development: For some children whose visual memories haven’t fully matured yet and are progressing very slowly learning the letter names, begin teaching the Imaginary Pictures, BUT review Chart 1 each lesson indicating that Chart 1 is for learning NAMES and Chart 2 is for learning SOUNDS, otherwise children confuse NAMES and SOUNDS. 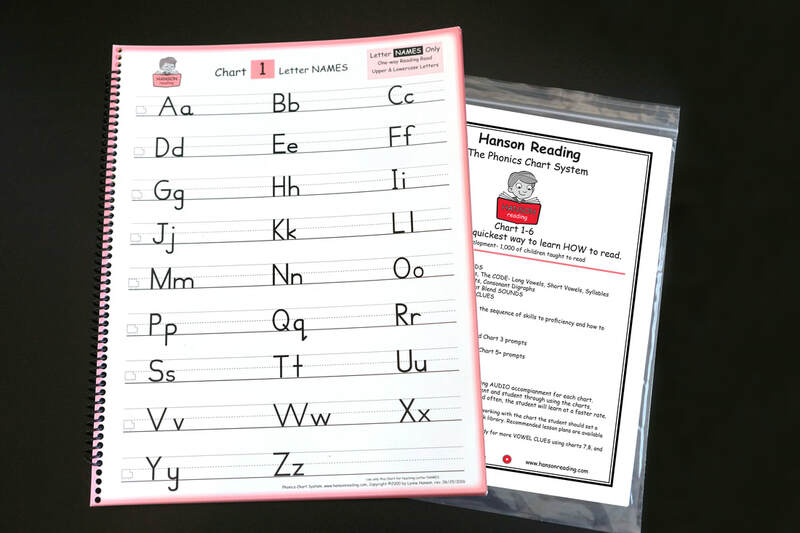 Chart 2 is more logical than Chart 1 and learned more quickly than Chart 1, but it is necessary to learn both the letter NAMES and the consonant SOUNDS. Even though these Imaginary Pictures will be used for cueing writing the lowercase consonants, DO NOT focus on the writing concepts until the identification of the Imaginary Pictures has been well established, the children know the SOUNDS of the consonants and know how to print the uppercase letters. ​My kid is older - do I need to practice Chart 1? Chart 1. 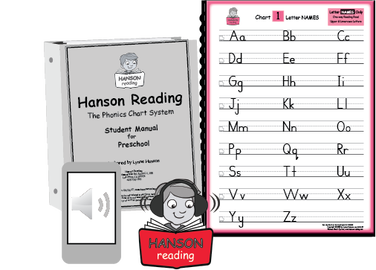 The Prompt for Chart 1 is the Alphabet song. Doing a quick review of this Chart will reveal if a child is missing any recognition of the Letter Names. If they've got it- move on. each lesson. This is what Hanson Reading calls Chart Reviews. “What if I forget a letter’s NAME, what do I do?” Prompt for Chart 1: Sing the ABC Song. they can find it more easily.